Effective October 1, 2018, Girard Gibbs LLP will become Girard Sharp LLP, and Eric Gibbs will continue to serve as Managing Partner of Gibbs Law Group LLP. In 2014, Eric began the transition of his practice to Gibbs Law Group. Since then he and Dan and their teams have continued to work together serving clients in complex cases ranging from antitrust to reproductive rights. “Eric and I are proud of everything we have accomplished together, and I am confident he will continue to achieve outstanding results with his skilled team at Gibbs Law Group,” Dan commented. The attorneys at Girard Sharp and Gibbs Law Group will continue to work in close collaboration as friends and colleagues. Our physical addresses and telephone numbers remain the same. Gibbs Law Group is a national litigation firm representing plaintiffs in class and collective actions in state and federal courts, and in arbitration matters worldwide. The firm serves clients in securities and financial fraud, antitrust, consumer protection, whistleblower, personal injury, and employment cases. 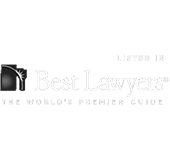 Our attorneys are frequently recognized by the courts, our peers, and the legal media for their ability to provide the highest caliber of legal service. Eric Gibbs has also been named one of the “Top 30 Plaintiff Lawyers in California for 2016” by the Daily Journal, recognized by Law360 as a Consumer Protection MVP, among the “Top 100 Super Lawyers” in Northern California, and has been selected for inclusion in The Best Lawyers in America for his work in Mass Tort Litigation/Class Actions. He has also been ranked among the highest class of attorneys for professional ethics and legal skills with an AV-Preeminent rating by Martindale Hubbell. Many of our attorneys have been recognized as Northern California Super Lawyers and Rising Stars.